What Is Considered Kidnapping Your Own Child In Florida? Child custody and visitation rules and orders can be confusing, especially if one parent’s circumstances have changed and they’d like to adjust the visitation schedule established by the court. And yet, if one parent violates an existing custody order without going through the proper legal channels, they can be accused of kidnapping their own child. In fact, it is so common that stories of parents kidnapping their own children are in the news every day. Interfere with the performance of a government or political function (this includes confining a child under the age of 13 if such confinement is without the consent of their parent or guardian). For this offense, a person is guilty of a first degree felony and can be punished by spending life in prison. At the same time, you can also be convicted of child abuse if any physical or mental injury is inflicted upon the child, amongst other harms. While many think that the person taking the child being a parent and the child wanting to go with them would be a viable defense, parents who violate custody orders can absolutely be (and are) convicted of child kidnapping. When Does It Become Kidnapping? A parent can only be convicted of kidnapping their own child if a divorce or child custody suit has been filed because—until an official court order limits one parent’s rights—they retain those rights with respect to the child. However, these rights typically only pertain to the child’s biological parents (unless, legally, one parent who is not the biological parent has adopted the child and/or been assigned custody); in other words, anyone who wants the rights of a parent must first petition a court in order to obtain those rights and, until then, does not have the same rights and access to the child such that they would not be convicted of kidnapping, even if there has been no divorce or custody order entered. When you are dealing with child custody issues, you want to ensure that you are receiving guidance (and, at times, legal representation) from someone who is experienced in this area of family law and knows the local laws well. You never want to inadvertently take any action that involves your child which could lead to you committing an offense and potentially losing future contact with that child. 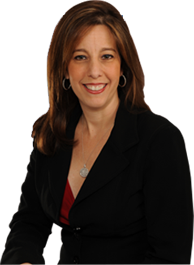 At the law office of Sandra Bonfiglio, P.A., we have represented many mothers and fathers in child custody matters in Boca Raton, Fort Lauderdale, and throughout Broward County. Contact us today to see how we can help.